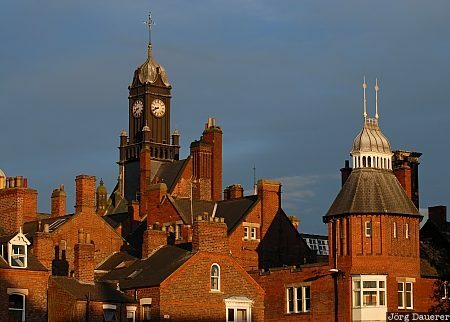 Red brick buildings near the banks of River Ouse in York illuminated by warm evening light. York is in North Yorkshire, United Kingdom. This photo was taken in the evening of a rainy day in September of 2007. This photo was taken with a digital camera.